Samsung Galaxy Fold was unveiled alongside the Galaxy S10, Galaxy S10+, and Galaxy S10e models in San Francisco last month. But unlike the other new models in the Galaxy family that are already on sale in various global markets including India, the foldable phone is yet to hit the market. Samsung even used a protective case to prevent media from shooting detailed hands-on preview and first impressions of the Galaxy Fold. However, a video previewing the Galaxy Fold has now surfaced online that not only shows how the foldable form factor by the South Korean giant works but also reveals a crease in the flexible display panel. The crease is quite obvious since the Galaxy Fold comes with a plastic panel instead of a glass panel. 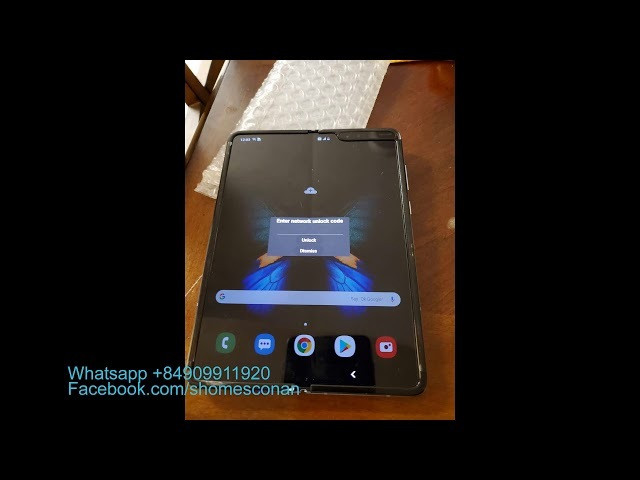 The video, which appears to be a promotional content for a Vietnamese network-unlocking service, shows the Samsung Galaxy Fold in detail. It previews the foldable mechanism of the phone and suggests how bulky its build would be due to two display panels and metal design. Also, the over two-minute-long video shows that it would be difficult to use the phone with one hand. That being said, the most interesting revelation that comes from the latest video is the presence of a crease that divides the Galaxy Fold’s display in the middle when unfolded. The Galaxy Fold has plastic protection on top that is undoubtedly more prone to bends and creases over a short period of time than a glass panel. But it is safe to expect that the handset featured in the video might be a pre-production unit or just meant for testing purposes at a manufacturing facility in Vietnam. 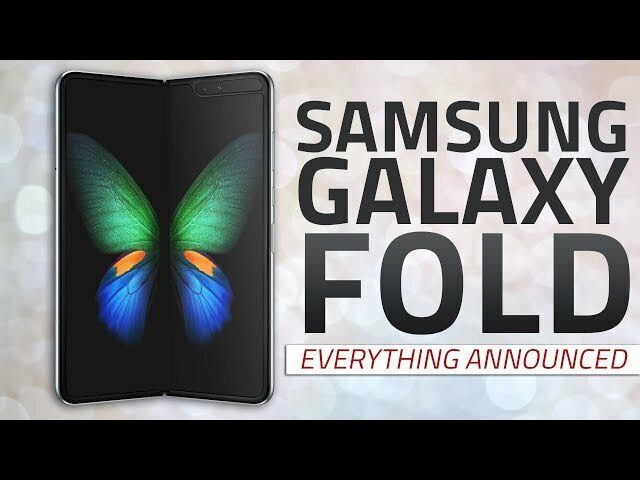 A report from Bloomberg earlier this month did mention that Samsung was aware of the crease issue, but it’s believed to emerge after the Galaxy Fold has been folded about 10,000 times. The company is also reportedly set to offer free screen replacements after launching the new model next month. However, all this may raise a question on the premium price tag of $1,980 (roughly Rs. 1,36,300) that comes along with the Galaxy Fold. It is worth mentioning here that similar to the Galaxy Fold, the Huawei Mate X, which was unveiled in Barcelona last month, also has a plastic display. But the Huawei offering has a foldable display that folds outward instead of inward in case of the Samsung phone. That may prevent the crimp in the panel to some extent, though it is still too early to tell. We need to wait until the official launch of the Galaxy Fold that is scheduled in the US for April 26 to see how good it will in terms of handling the shortcomings of the foldable form factor. Alongside the US debut, Samsung is set to launch the Galaxy Fold in India as well. Concrete details about its price and availability in the Indian market are yet to be announced, though.